This is the Revolution Design Racing Products Ultra Glowplug Wrench. 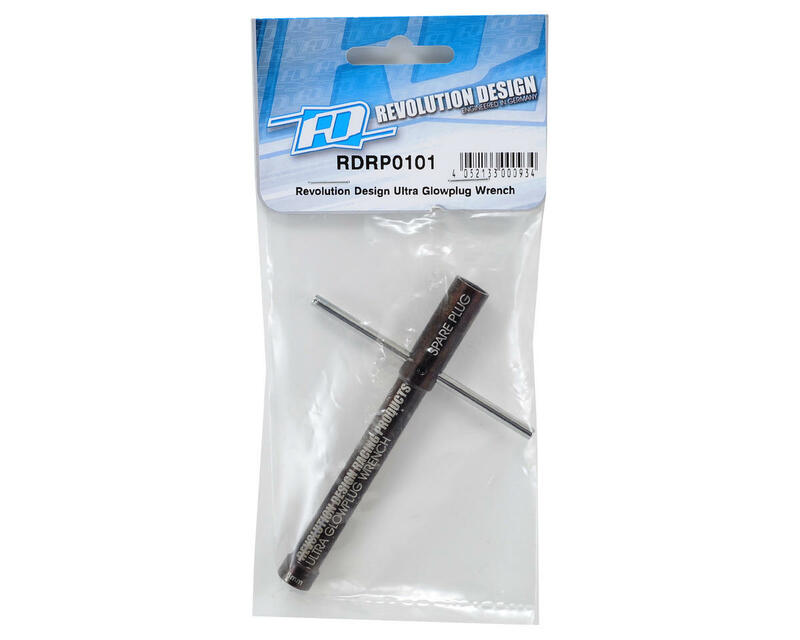 The RDRP Ultra Glowplug Wrench is made from high quality spring steel and incorporates an 8mm nut driver for the glow plug, with a threaded cavity on the other end that allows you to store a a spare glow plug. Designed for standard and turbo glowplugs, this wrench is the ideal companion for demanding qualifiers and finals. 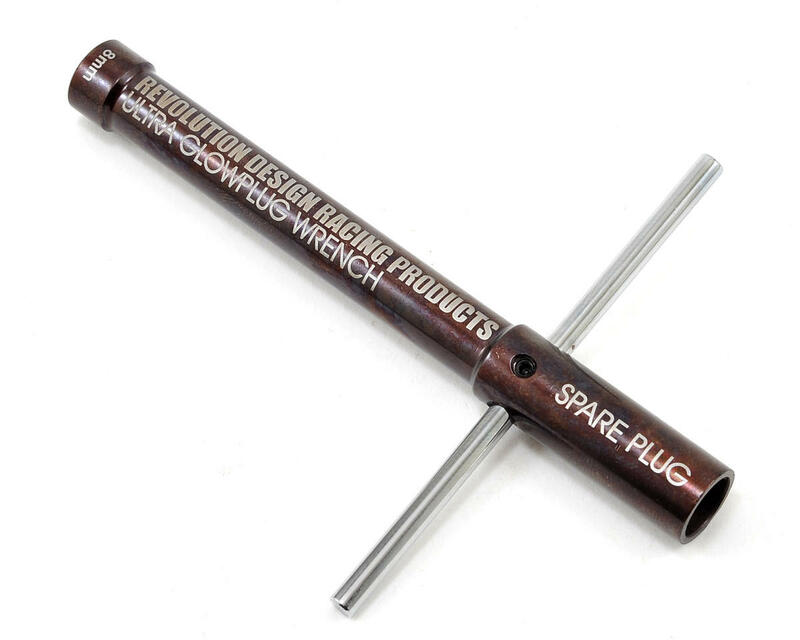 Laser-etched logos make the tool stand out while a sturdy cross pin makes installing and removing even tightly fitted plugs a breeze. Works good installing and removing glow plugs. The only problem is the spare glow plug does not thread in as described.